Can You Balance Energy using Gems? ,Feeling stuck? Unable to communicate or feeling less than confident? There may be an easy fix for that. Simply balance energy using gems. You may have heard that using plates of specific colors can encourage you to eat more (or less), or that colors can boost someone’s confidence, mood and energy. There’s a field of study called color psychology that dives into the effects that color can have in someone’s mood, or behaviours. That’s because colors have energy. Consequently, using color (and gemstones associated with those energies too) can help you feel better. First of all, there are seven chakras, or energy centers, in the body, and different gemstones and colors may be associated with these chakras. It’s not hard to use crystals and colors to improve the energy and feel of a home. That’s why, decorators suggest painting the master bedroom in shades of blue, for calm and contentment. The first chakra is at the base of the spine. Also known as the root chakra, this energy center is associated with courage, self-awareness, and confidence. Red is a power color associated with this chakra. If you’re feeling doubt, adding a little red to your home, with garnet, or other stones, like hematite can boost the your mood. The sacral chakra in the lower abdomen, is orange. Therefore, gemstones associated with this chakra include carnelian, amber, and orange fire agate. Amber is the gemstone of sexuality and healing. Most noteworthy, it may also protect from negativity. The solar plexus chakra is behind the navel, and its color is yellow. Vitality throughout the body, feelings of identity and power are all here. Gemstones associated with this chakra include citrine and pyrite. The heart chakra is green, located in the center of the chest. The color itself stands for wealth, envy, and jealousy. So it is also a representation of rebirth, growth and abundance. But, gemstones like emeralds usually attract love and abundance too. The throat chakra is blue, and represents communication, emotional balance, and self-expression. Hence, if you want to increase your concentration and emotional balance, it’s a great idea to use turquoise or aquamarine in your home. The third eye chakra, between the eyebrows, is indigo (a darker shade of blue). It is the spiritual center of the body. If your third eye is blocked, as a result, you may be feeling a lack of perspective and issues with prioritising your activities. The crown chakra is violet, and at the top of the head. On this chakra lies purity, innocence, clarity and having a sense of one’s higher self. Gemstones that can help you to amplify these feelings include amethyst, clear quartz, or diamond. At Kristals, we believe in the power of colors and gemstones to help balance and improve moods and energies. In conclusion, gemstones can bring beauty benefits, and that’s why we use powders, elixirs in our beauty products, to supercharge your energy and your beauty routine. 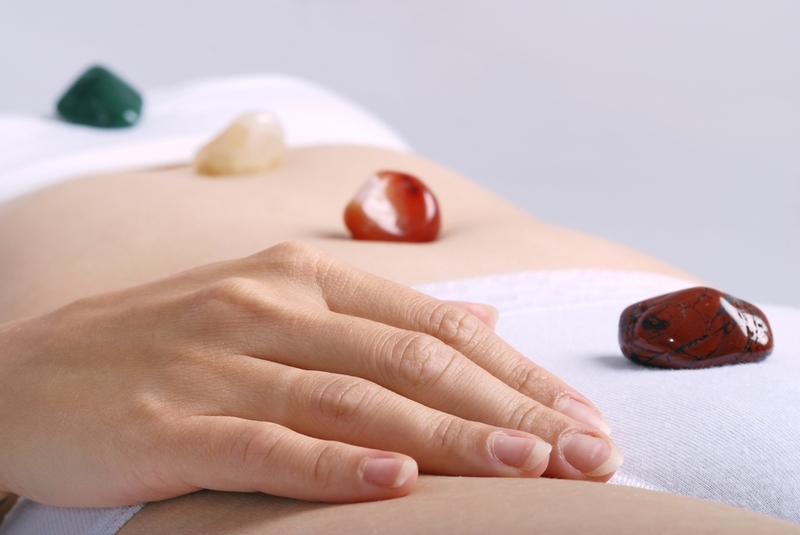 If you enjoyed learning how to balance energy using gems, continue reading The Surprising Skincare Benefits of Gems.